British soul singer Amy Winehouse, who died in London on Saturday, has joined a tragic group of famous rock stars who passed away at the age of 27 - the notorious "27 Club". Rolling Stones founding member Brian Jones, guitarist Jimi Hendrix, singer Janis Joplin, The Doors singer Jim Morrison and Nirvana frontman Kurt Cobain are the other major "members" of the ill-fated club. The first to die was Jones, who left the Stones after disagreements with other members. He had problems with drugs and alcohol. Jones drowned in the swimming pool of his estate in Sussex, southern England, in July 1969, and his body was found by his girlfriend. An inquest recorded a verdict of death by misadventure but speculation has continued that he was murdered. Hendrix, the pioneering US guitar wizard whose hits included Purple Haze, Hey Joe and All Along the Watch Tower, died one year later. 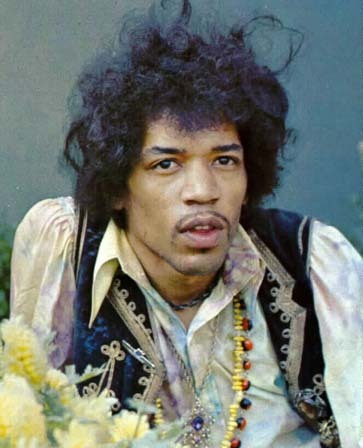 Hendrix choked on his own vomit in a hotel in London on September 18, 1970 after swallowing sleeping pills and drinking red wine. Less than a month later, on October 4, 1970, Joplin was dead at the same age. Known for her bluesy vocal style, the US singer died of a suspected heroin overdose. Her album Pearl was released posthumously and became her biggest seller. In 1971 Morrison became the next to perish. The US singer of the hits Light My Fire and the brooding masterpiece The End died in his bathtub in his Paris flat on July 3, 1971, alcoholic and obese. The cause of The Lizard King's death was a suspected heart attack — but there was never an autopsy, giving rise to multiple conspiracy theories. Meanwhile Cobain, who died in early April 1994, had his own well-documented struggles with heroin during his brief career with US grunge rockers Nirvana. But it was not drugs that claimed his life, but his own hand. 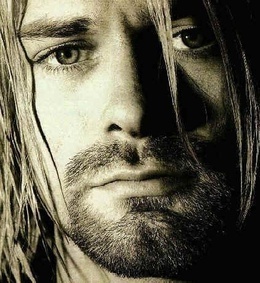 Just weeks after taking an overdose of tranquilisers in Rome, Cobain, who was married to troubled rocker Courtney Love and best known for the hit Smells Like Teen Spirit, killed himself with a shotgun at his house in Seattle. Afterwards his mother Wendy was quoted as saying: "Now he's gone and joined that stupid club, I told him not to join that stupid club." A host of other, lesser known musicians also died at the same age. The keyboardist for legendary rockers the Grateful Dead, Roger "Pigpen" McKernan died of a haemorrhage brought on by alcoholism in March 1973. And Richey Edwards, the guitarist and lyricist of the Welsh alternative rock band Manic Street Preachers disappeared in February 1995 after spiralling into depression. His car was found abandoned near a notorious suicide spot and he was officially pronounced dead in 2008. Read more about Amy Winehouse at online journal The Province.com and about her backstage booze on The-Latest. Game Over For 50 Cent?